After posting Understanding of Regular Expression article most of my readers are expecting .htaccess basics, and I did not find any useful article on Google first page results. Specially I love to write .htaccess file, using this you can easily configure and redirect Apache Web Server file system. This post will explain you how to create friendly URLs, sub domain directory re-directions and many more. Note: .htaccess file will be in hidden format, please change your folder and file settings to view this file. How to Create a .htaccess File? Open any text editor application and file save as with .htaccess name and enable mod_rewrite extension in php.ini file in Apache Web Server configurations. If you want to disable folder files listing, include following code. Here error page is redirecting to error.html. RewriteEngine On it is turn on Rewrite Rules in Apache Server. if you want to turn off, just change the value to off. Sub domain redirection mapping to folder. Here https://www.yourwebsite.com is connecting to website_folder folder. Here https://subdomain.yourwebsite.com is connecting to subdomain_folder folder. Htaccess File Inside The Folder. Friendly/Pretty URLs help in search engine rankings. The last part is pretty unnecessary.. creating a new redirect for every single action? Nice break down, you know what you could also add, restrictions by denying access to specific folder, files or entire root using allow/deny directives. Or using password protected folders too. Thank you so much! I really needed this. how use htaccess to prevent Internet download manager from capture .mp4 file extension? can you explain us, how to configure an .htaccess with a desktop version and a mobile version please ? 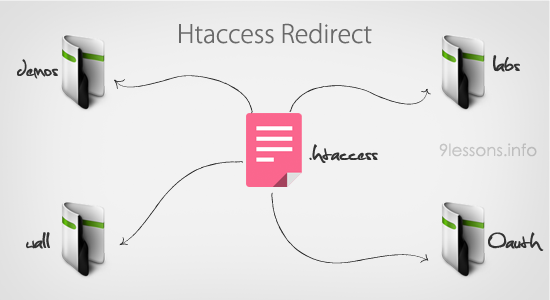 I agree, its difficult to find .htaccess simple tutorial. Your tutorial will be very helpful. Thanks a lot for this important tutorial. I tried many tips of it and they work very well, but when I use friendly urls I get the following error. Any help? Nice Article Shinivas. After reading this I came to know so many things which I didn't know. not working any single rule don't know whats going wrong no internal server error nothing but no effect takes place. Needs an admin page so u can monitor everything. I also made a gallery for each person so it has a private and shared gallery and i found some server hosts dont allow clean urls. Would like to see a cover photo. guess i could do it myself but dont have time really. But over all very good love to see where it goes next awesome work. I appreciate your post and good job, please how can i create a page for users, e.g. www.mywesite.com/romeo (the name there is the user of my website) Facebook does this for it users. many times I mess up with .htaccess file & creates many errors for my blog. Your post is very useful..thanks a lot. How to Redirect HTTPS to HTTP particular page. enable mod_rewrite extension in php.ini file? You meant enable Apache module mod_rewrite. cool..! !great work dude..!! :) thanks ..!! Thank you very much Srinivas.. This is one the best tutorial for .htaccess file..
sir, i want to remove file extension like .php and query string together. please tell me how can i do. Does anyone know the equivalent of htaccess on IIS??? I nedd to do something like RewriteRule. Its really very useful post for beginner as well as experienced programmers. example.com/aboutus using wordpress permalinks ? how to GET value parameter in clean url if url http://labs.9lessons.info/friends/srinivas ?